I should by nature be a big fan of bipods. I served as a Marine Machine Gunner for 5 years and the majority of the weapon systems I employed utilized bipods. Without a doubt, a bipod is a very handy tool to have on any rifle or in my case machine gun. They enhance stability and therefore accuracy. Bipods are great, but what about a smaller option? That’s where the MagPod comes in. The MagPod is small, but effective. The MagPod is a magazine baseplate unlike any other. 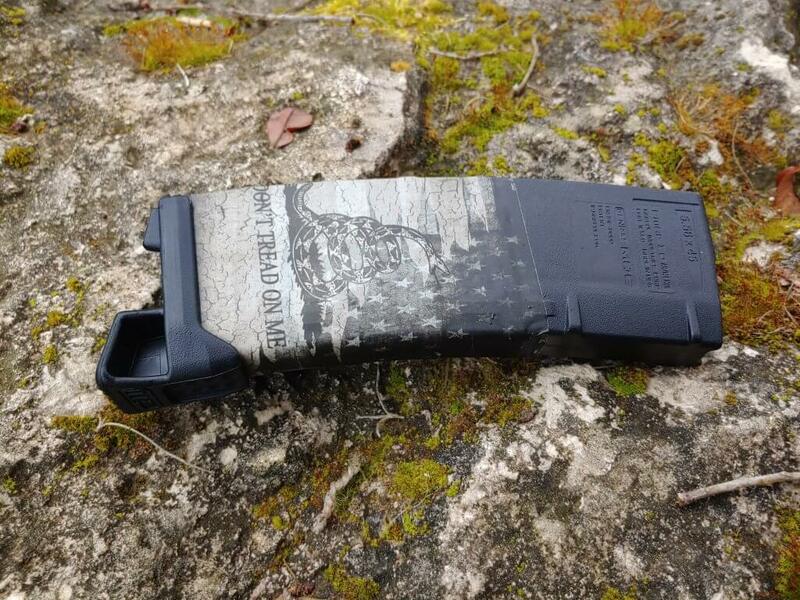 It replaces the magazine baseplate of your Magpul PMAG and adds a small foot. 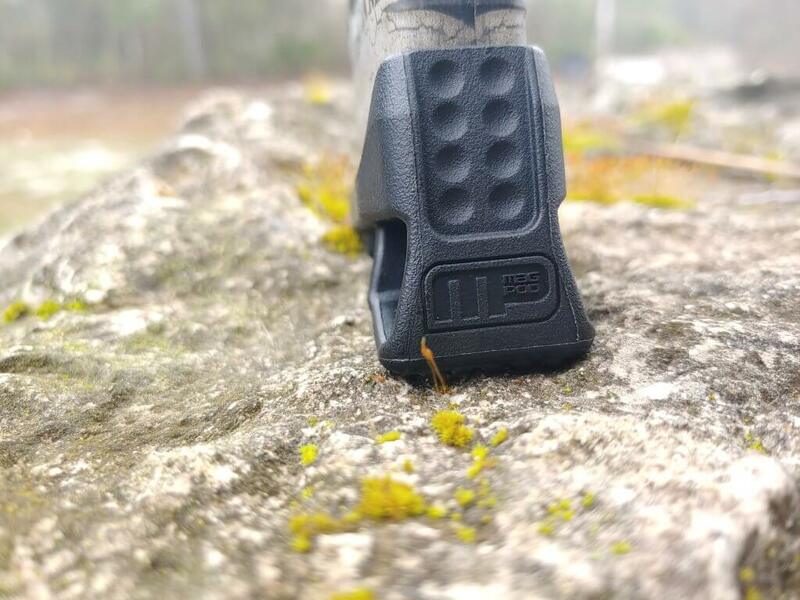 This foot allows you to use the magazine as a stabilized platform to shoot from. A myth I heard throughout my time as a shooter is that resting a magazine on the ground will cause feeding issues. I’m not sure where this myth started, but its exactly that, a myth. Maybe there was a time where magazines were trash, but that time has long passed. Rest assured your rifle will feed fine when you use the magazine as a monopod. On modern rifles bipods are great, but they tend to have a few issues. They add weight to the front of the gun and add a bit of bulk. On some guns this is okay, but on the super small ARs that are popular as of late, they are out of place. These ARs are often designed with the idea of CQB and running gunfights, or just to be loud range toys. Rarely are they used for precision shots and in the prone. But rarely doesn’t mean never. Will pressure on the mag cause problems? The MagPod is perfect for these guns. On top of that, they are just a quick and easy upgrade your existing magazines. They are perfect for quick shooting of a variety of different surfaces. In my testing, I went over three different textures. I fired off the ground in a traditional prone, off a wood table, and off an old boulder. The MagPod is an easy concept to understand, once you see it. The MagPod help steady and the textured feet do a good job of digging in and holding steady. The MagPod is essentially a large polymer foot that sticks below your magazine with two small extensions in the rear. The length of the foot makes it so the slight curve of the magazine does not affect stability or throw it off balance. Admittedly this will not provide the same level of stability a dedicated bipod will. It is, however, quicker to get into action. Drop to the ground and you’re halfway to being set up. The MagPod doesn’t allow for cant or elevation changes, but you aren’t going to play sniper with it either. 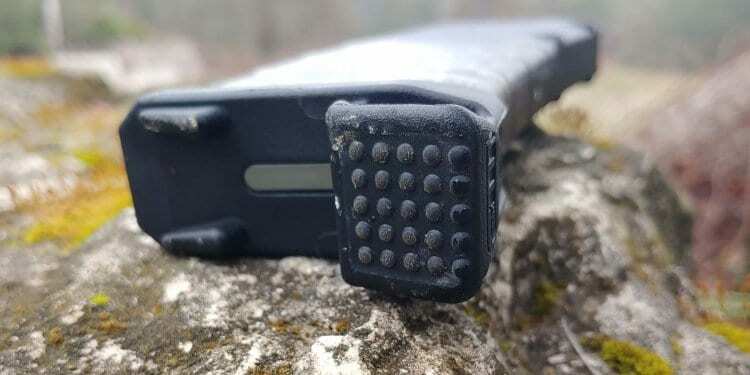 The MagPod on a gen 2 PMAG. For quick, almost improvised positions it’s fantastic. Not only on the ground but at finding places around you to rest your gun for more accurate fire. Its small footprint means it can be used nearly anywhere. It provides quick stability and in that regard works well. Especially if you are running drills and your breathing is a little more ragged. It lets you keep the reticle still enough to make that game-changing shot. The MagPod from an improvised bench. Of course, what happens when you run dry? Well, you gotta swap mags and this means running multiple MagPods. The good news is they are affordable and available in three packs. 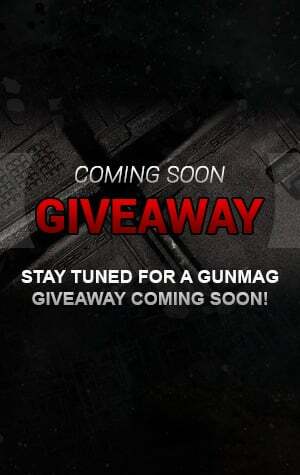 Currently, MagPods are available for the Magpul PMAG Gen 2 models only, so keep that in mind. It’s a very cool little accessory and it does add some real value to your magazines. Plus, it makes it really easy to stand your AR up for those cute pictures. I don’t recommend shooting from old boulders. Any expert will tell you to only use new boulders. Old boulders are better ‘cuz they’re broke in and they have that nice lichen patina. 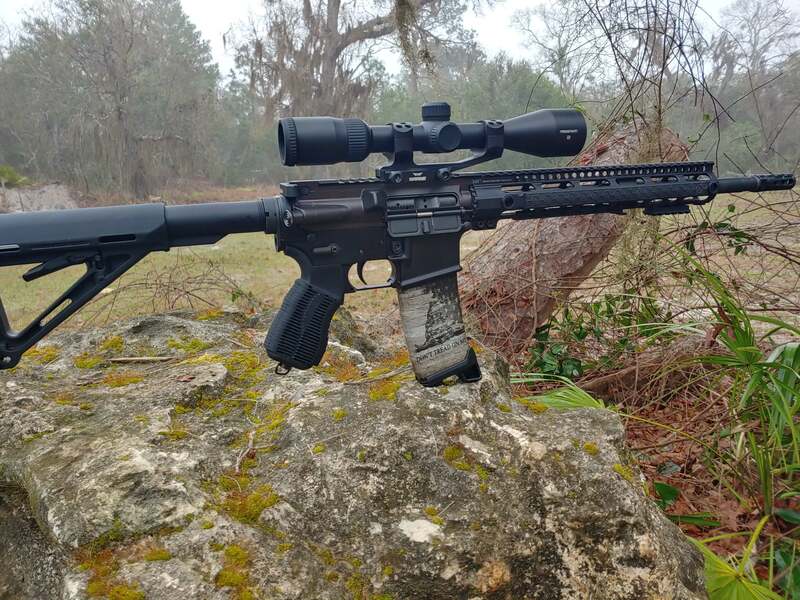 I dunno, my issued Mk12 seemed quite perfect with a bipod. Just depends how a rifle is configured. The move to shorter barrels in military use was primarly to give a suppressed OAL to make it easier to maneuver since a suppressed M4A1 is as long as an M16A2 up front. The loss of velocity between a 14.5″ barrel and a 10.5″ barrel is not too horrible, roughly a 300-500 fps loss depending on specific loading. I have the pull loop floor plates on many of my mags. Problem is mag carrier compatibility issues, limits you to the one in weapon for some, or go with more open top pouch design. Another thing to catch on your gear, or fall off unexpectedly. If you can’t monopod off a PMAG by itself, you have worse problems than just needing one of these things. A 12″ gong at 200 or more yards kneeling off hand without any other gadgets has been the best training gadget I have found. No dependence on any other attachments, and I seldom miss. I can do sub moa off a rest, but 12″ is a good realistic off hand target size and I’m over 73. Marine gunner and “resting a magazine on the ground will cause feeding issues” is a myth to you? When did you serve? The old aluminum mags sure as hell would over insert from being pushed in ground from them using it as a monopod. That’s why new mags are built the way they are now.